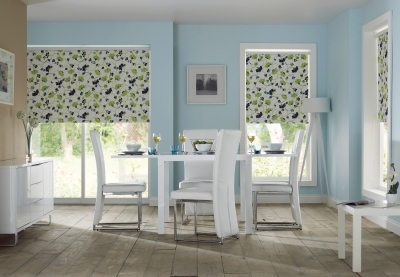 Our made to measure Roller Blinds are perfect for adding simple style to your home. Roller blinds can give your home a truly individual look as they can be customised with a variety of decorative hems, braids, poles and finials. We offer an extensive selection of fabric choices with plain, semi plain, textured and metallic effect fabrics in a range of transparencies including sheer, light filtering and blackout. Many of our fabrics are now suitable for commercial applications, where fabrics may need to be flame retardant and/or solar reflective.